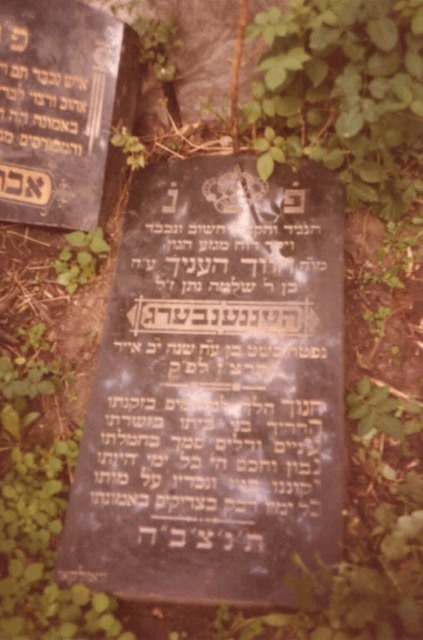 Solomon Bochner plaque in Ohel in Chrzanow. 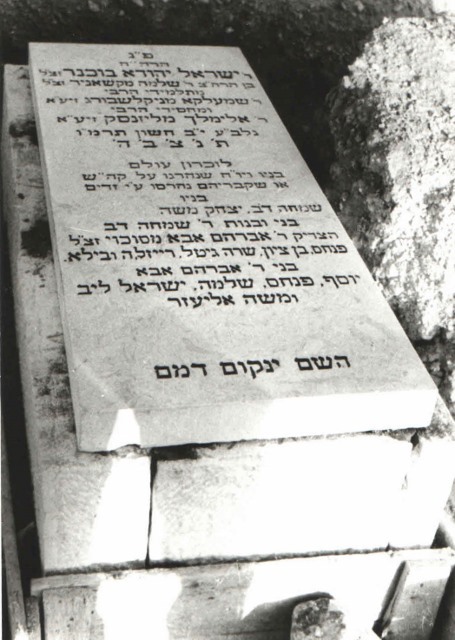 Translation: here is buried a great man like his name Shomo that means complete in hebrew he was complete …he taught torah for 40 years…was the student of 2 great Tzadiks Rabbi Shmelke of Niklasuburg and rabbi Elimelech of Lizensk. He learned from them and gave it further to his students. 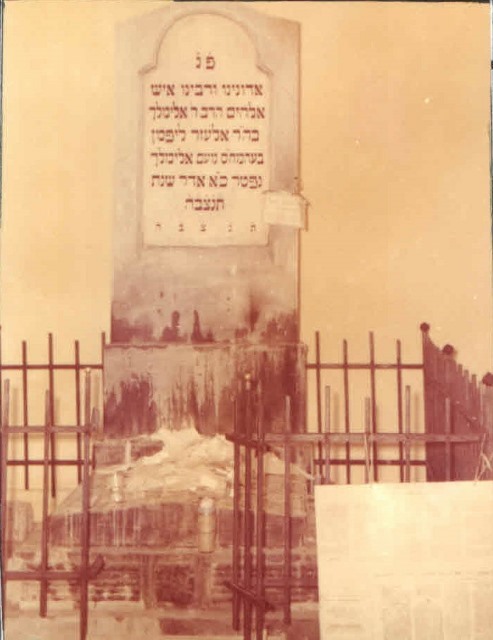 Shlomo the son of Moshe passed away on Lag B’omer. 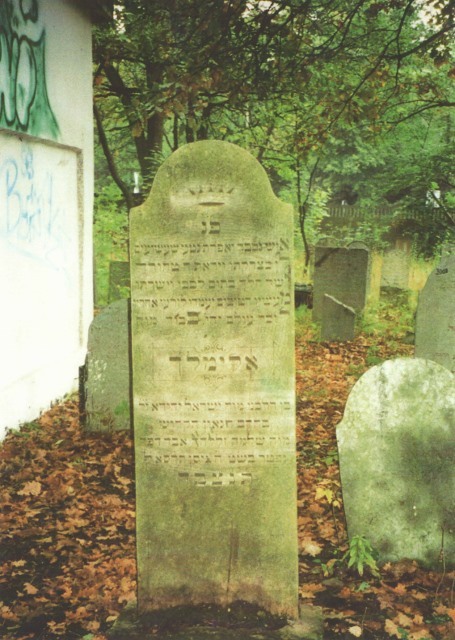 Elimelech Bochner stone. 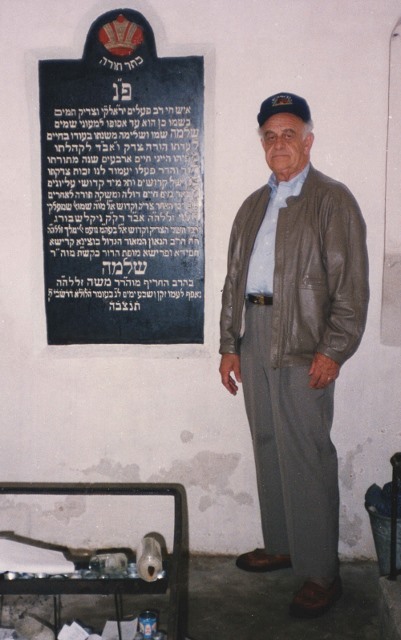 Stands next to grandfather Solomon Bochner Ohel in Chrzanow. Translation: Very righteous, was involved in charity work. 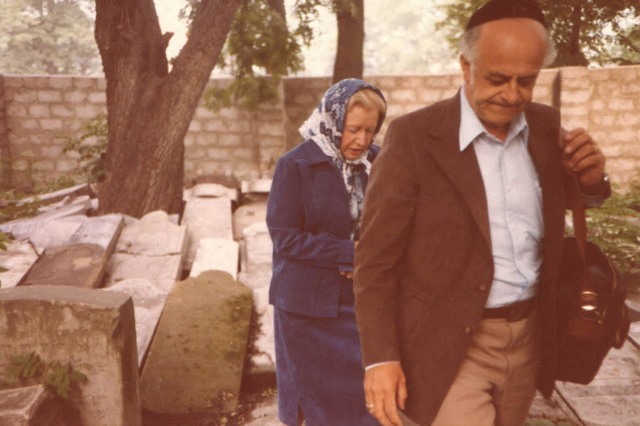 G-d fearing, and his good deeds should be a merit for his children. 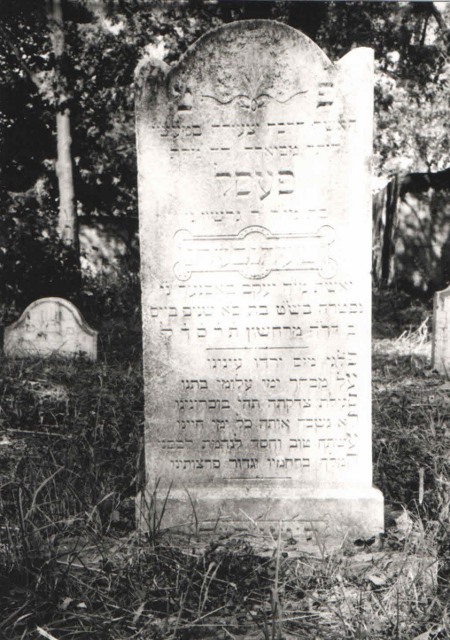 Elimelech, the son of Yisroel Yehudah, who is the son of Shlomo, passed away on the 8th day of Nissan 1901. 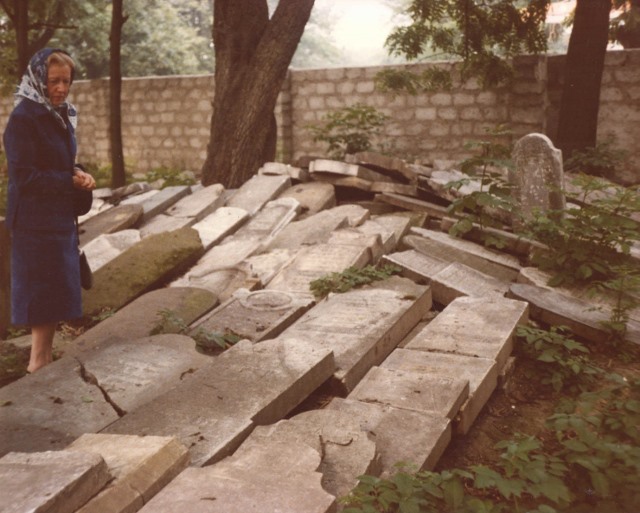 Joint stone for father and son because the son passed away young, before the aging father. 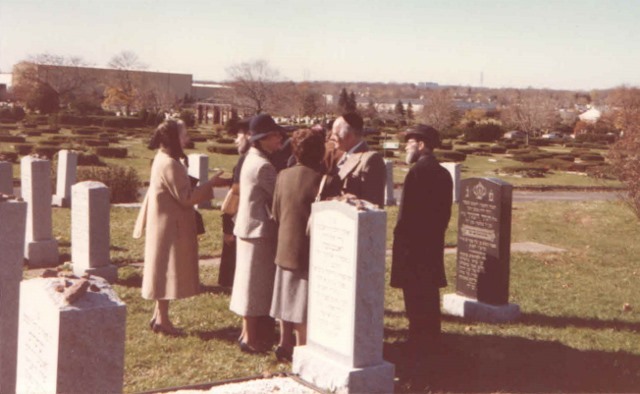 Right: Avraham Yehoshua Zelig the son of Elimelech Bochner and the grandson and great grandson of two great sages: Rabbi Shlomo of Krashnov and Rabbi Elimelech of Lizensk. 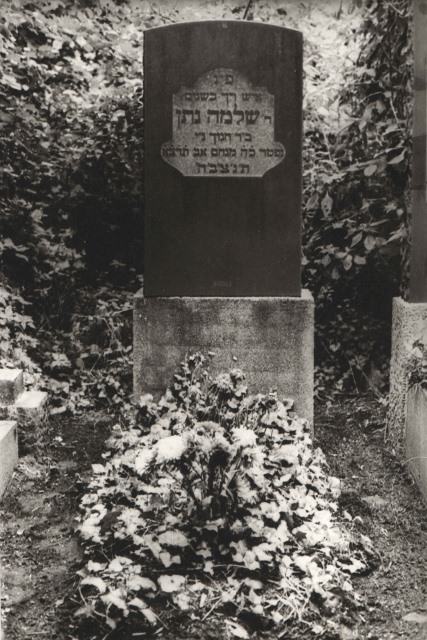 Died when he was 80 yrs old on the 14th day of Nissan 1924. 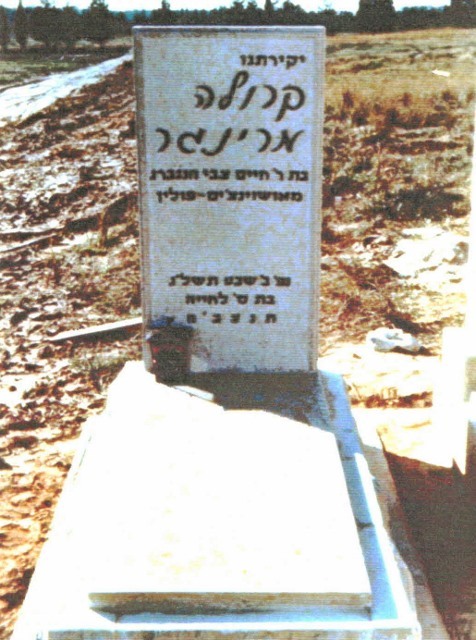 On the left side: Akiva, the son of Avrohom Yehoshua Zelig. 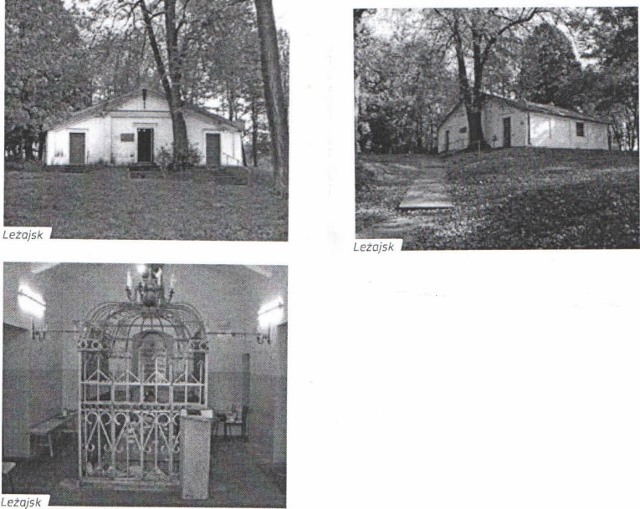 The family was involved in charity work helping the poor. 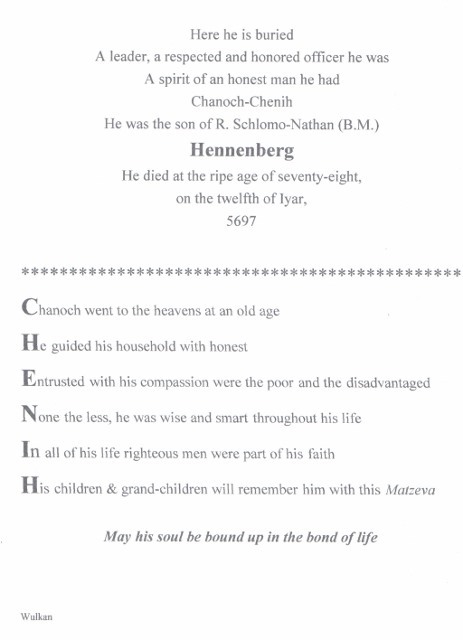 Passed away young (before his father) on Simchat Torah 1921. 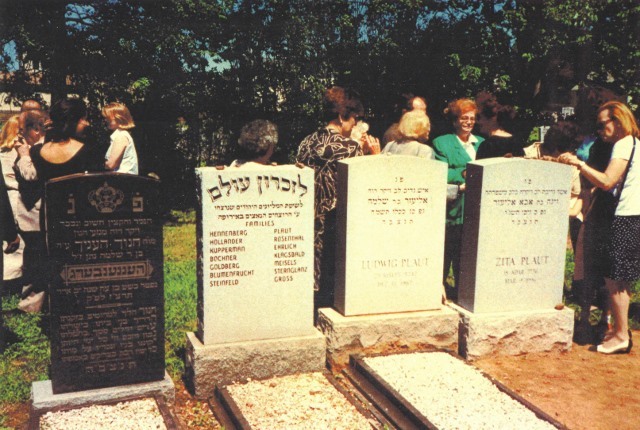 Oswiecim Jewish Cemetery in July 1979. 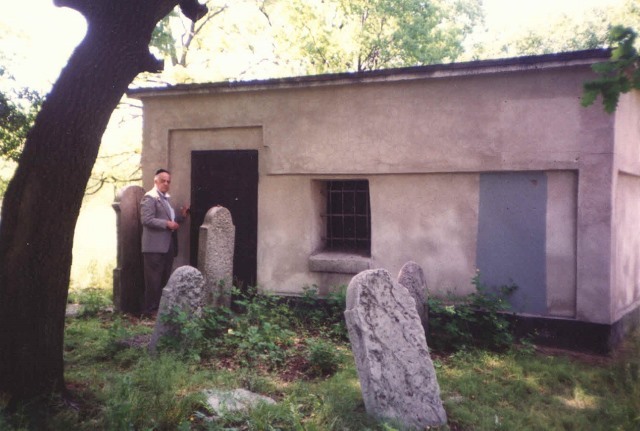 Oswiecim Jewish Cemetery in July 1979. 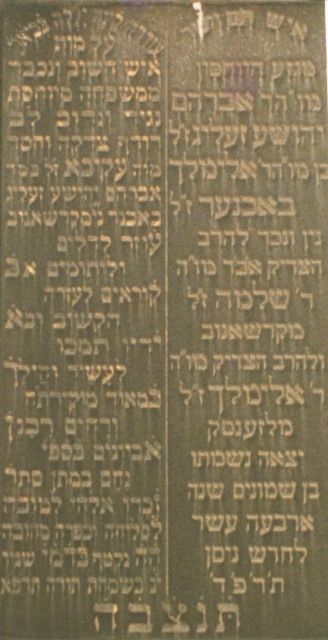 Jacob stands saying Kadish. 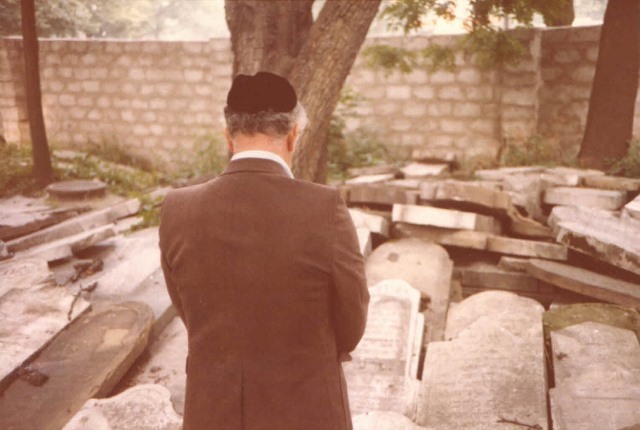 Oswiecim Jewish Cemetery in July 1979. Jacob and cousin Zita make their way to something glimmering in the sun. 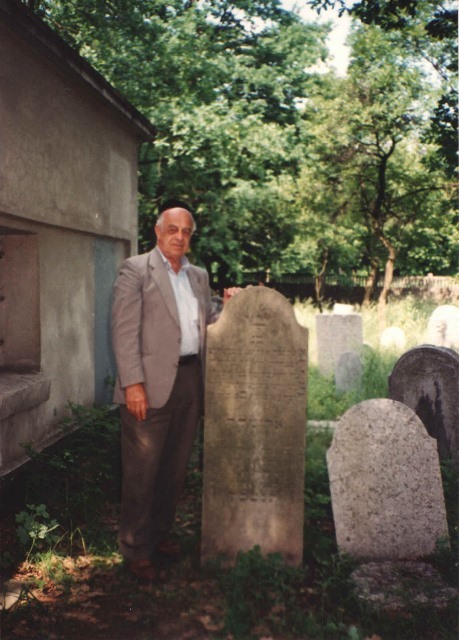 Oswiecim Jewish Cemetery in July 1979. 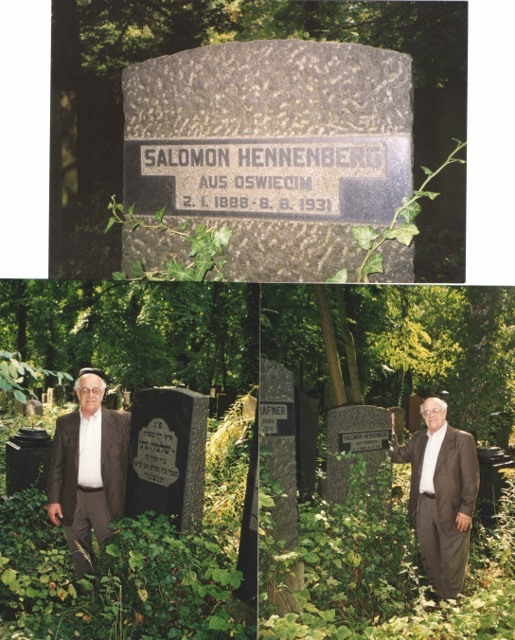 Jacob and Zita’s Grandfather, Henoch Hennenberg’s stone glimmered in the distance. This picture shows the sun reflecting off the shiny surface. 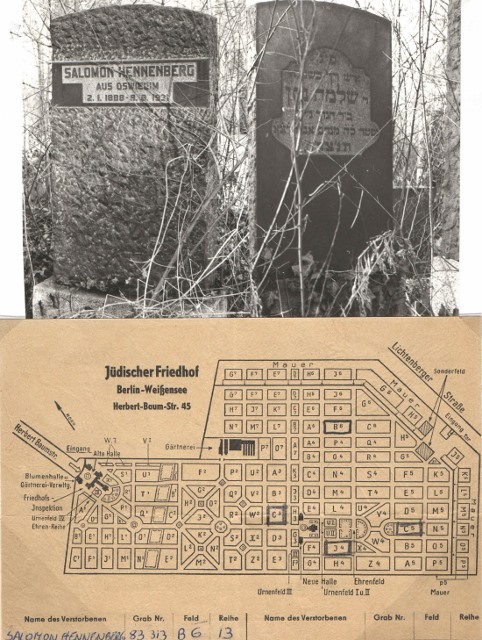 The translation of Henoch Hennenberg’s gravestone. 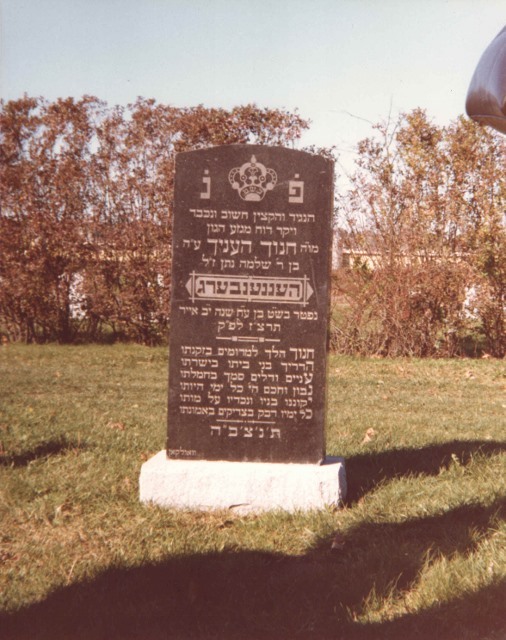 Henoch Hennenberg stone once it was moved to Clifton, NJ. 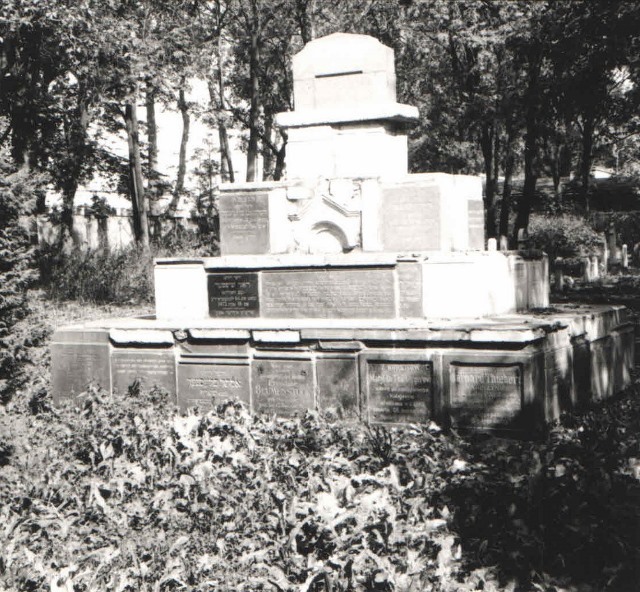 Photo taken in 1981. 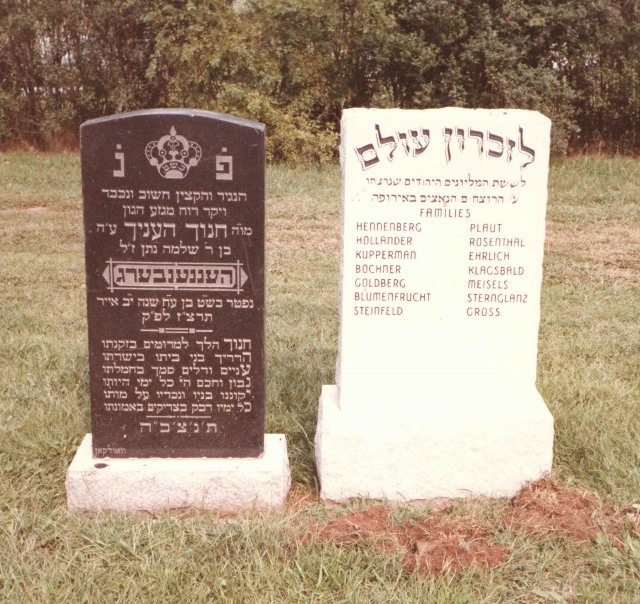 Henoch Hennenberg gravestone in NJ next to family gravestone for all the family we know of that perished in the Holocaust. 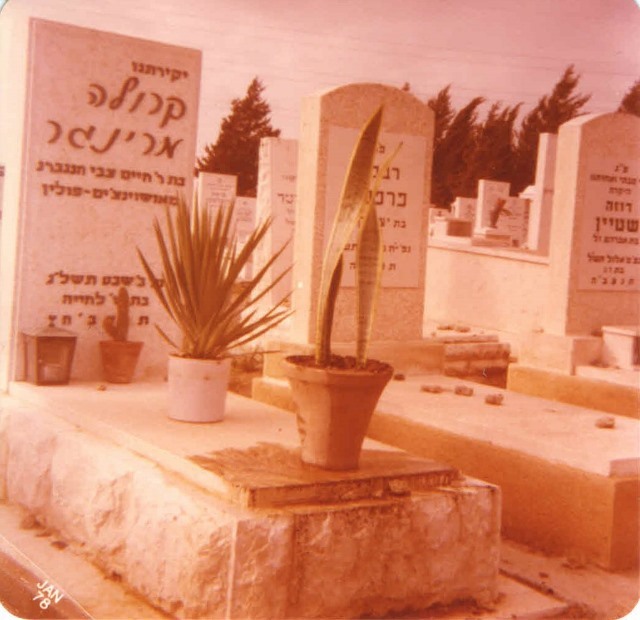 Picture taken January 1985 . 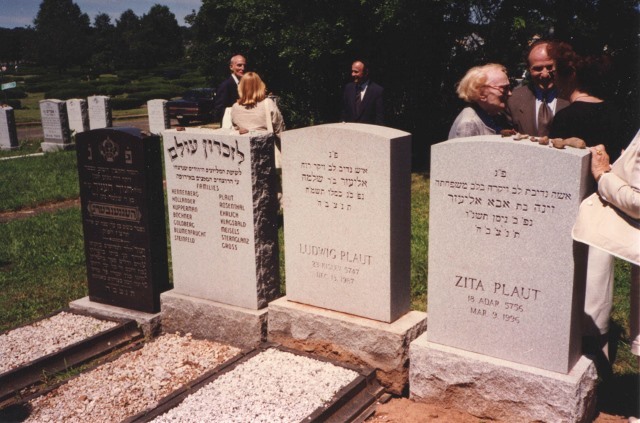 Clifton NJ cemetery L-R: Henoch Hennenberg Gravestone brought from Oswiecim, family memorial for those who were murdered in the Holocaust, Lutz Plaut gravestone, Zita Plaut nee Hennenberg gravestone (Jacob’s cousin).